This little trick, if incorporated into your daily routine, can help you stay on top of shedding (in just 2 minutes)! 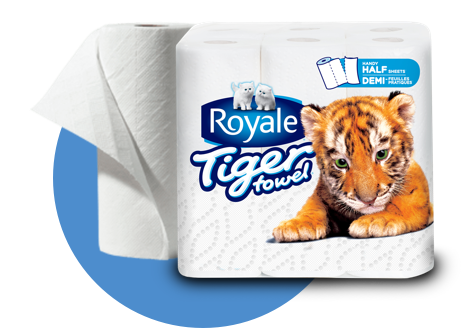 Dampen some ROYALE® Tiger Towel® paper towel and wrap it around your hand. Repeat this process until your furniture is fur-free. By doing this regularly, you won’t have such a big job to tackle each time, and can fly through the task quickly.